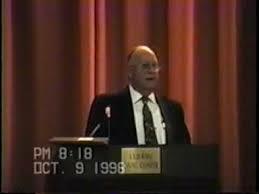 Dr. Chastain passed from this life September 26, 2007 at 93 years old and was a preacher until the last breath. He had served God in Churches and Seminaries in Arkansas, Oklahoma, Alabama,Kentucky, and California. These lectures are part of his legacy that he has left behind for you.